By the mid-1940s, the big-time network radio musical variety program had settled into a standardized format: a weekly half hour, built around a prominent vocalist as central personality, supported by a straight man/announcer, perhaps a comedy stooge or two, a big string-heavy orchestra, and a regular rotation of Hollywood guest stars. And it would be difficult to come up with a more textbook example of the format at its most polished than "Birds Eye Open House". 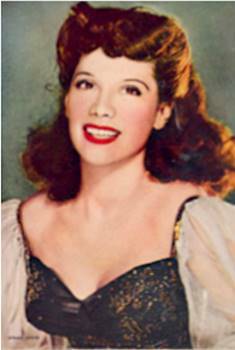 The series was a star vehicle for Dinah Shore, the Tennessee-born pop vocalist who'd climbed steadily up the ladder since her network debut in the late 1930s. Shore blended a jazz-conscious approach to the pop hits of the day with a breezy, easy-to-take microphone personality that made her a sensation on radio and records -- and her sense for comedy, honed by an early apprenticeship with Eddie Cantor, helps her carry off the non-musical portions of each week's program. She's accompanied by announcer Harry Von Zell, a practiced foil who'd worked with her on the Cantor program, and the lush melodies of an orchestra conducted by Broadway melodist Robert Emmett Dolan. But the real interest in the Birds Eye programs is in the guest stars, drawn from the top ranks of Hollywood comedy talent. 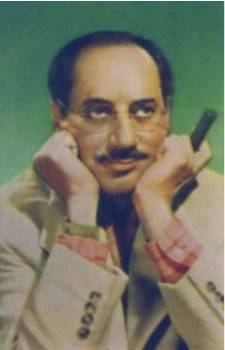 No less a personality than Groucho Marx appears as a semi-regular on the show -- and while his characterization is somewhat muted by the demands of a scripted series, the programs offer a rare chance to hear the foremost Marx Brother experimenting within the framework of a wide assortment of sketch ideas and comic settings. Best of all, these programs sound even better than they did when first broadcast. Expertly transferred from original KFI-Los Angeles transcription discs and restored for crystal-clear audio quality by Radio Archives, each episode of "Birds Eye Open House" offers a satisfying 30 minutes of top-notch entertainment. I ordered the "Birdseye Open House with Dinah Shore". Two days later it was in my mail box and all I can say is Wow! The collection is great and the sound quality is, as I expected, simply superb! The best part of the deal is not only the opportunity to add these great shows to my collection, but the opportunity to help Radio Archives bring many of the shows from Radio's Golden age to light and their efforts to restore them. This was the way they were meant to be heard when they were originally broadcast so many years ago! I would also like to add that I enjoy reading your newsletter and to see what new offerings are coming our way. A big Thank You to all of you for the great work you are doing and the tremendous effort you make to make radio's past available for future generations to listen to and enjoy!